Now considered the most famous cat in the world, our Pop-tart embodied friend has flown his way into our hearts with a magical rainbow trailing behind. Many different remixes now exist adding even more to the motley that is Nyan. 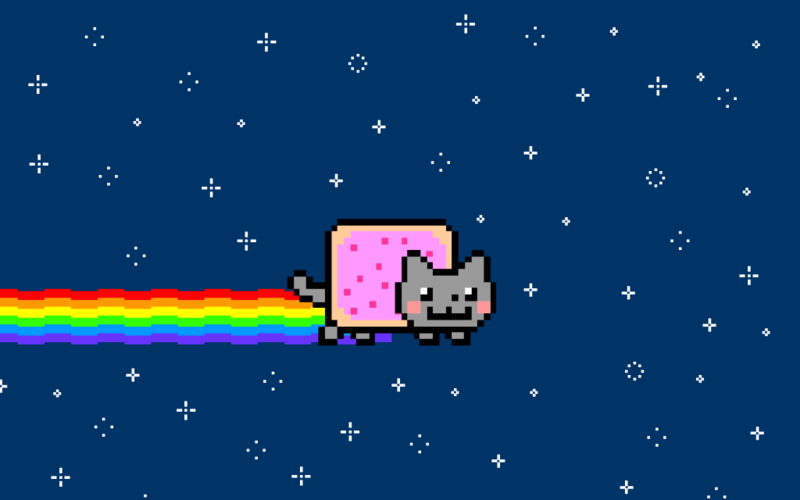 Now viewed well near 30 million times on YouTube, we now present you with the original Nyan Cat. Let the epicness begin!